For teachers and students at St Columban’s College, digital citizenship isn’t a one-off lesson or a bolt-on program delivered at a set time of the year. It’s at the heart of the curriculum, in all subjects and across all year levels. 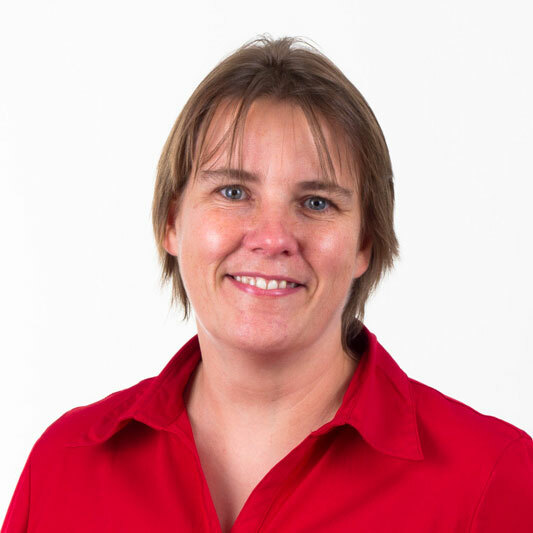 As Director of Special Projects at the Queensland secondary school, Dr Talitha Kingsmill leads the focus on CIDC – Curriculum Integrating Digital Citizenship. She tells Teacher the role involves working with Senior Leadership Team members, Heads of Faculty, staff and students on pedagogy and practice, and to generally ‘keep the digital citizenship priority “bubbling” and on the community radar’. Kingsmill recalls her passion for digital citizenship was ignited around a decade ago while coordinating the one-to-one laptop rollout for the college, just before the Federal Government’s Digital Education Revolution funding hit. She says the programs in Australia, and internationally, meant schools went from a couple of rooms with computers to students having a laptop, iPad or some sort of device for their use in classrooms and often at home – whether that’s provided by the school or under a BYOD (Bring Your Own Device) policy. That created new issues, not just with the technology itself and how students were using the devices, but also in terms of supporting staff. ‘I just thought to myself “this is not sustainable, we need to be doing something about it”. Like everyone, we were putting out one fire and another was starting, and so that began a journey for me of doing a lot of reading and thinking about [solutions]. Most of the reading was US-based because they were advanced from us in terms of what they were experiencing. We hit on exactly what I was looking for – digital citizenship and a proactive, empowering framework where we could look at building everyone’s digital capacities.’ In 2017, Kingsmill completed her doctoral research concerning how a school community experiences teaching and learning about digital citizenship in a secondary school curriculum. Presentations and communications to promote the initiative to the wider school community (including students and parents). An ongoing, online professional learning group was also developed to promote staff discussion and share professional reading, stimulus material and initiatives. There has been extensive professional development for staff, including retreats in 2012 and 2015. All new members of staff receive digital citizenship sessions as part of their orientation process and all staff receive top up sessions as required (for example, if they’re moving into a new role). Kingsmill also meets regularly with Heads of Faculty for visioning and planning sessions to ensure new curriculum demands are met. She says the major challenge has been time. ‘That’s where it became very important that the learning was actually contextualised and relevant. We’ve done some great work for example in Year 9 Maths assessment where they need something to use as data, so why not make it very relevant to them? One of the pieces looks at social media usage, the time and the different platforms that the students use. Another looks at texting … so, it’s very relevant. Are you providing authentic and relevant learning experiences for your students? As a school leader, when implementing a new program or initiative what support is put in place for staff? Does this include initial and top-up professional learning? As a faculty or leadership team, how often do you revisit units of work to ensure new curriculum demands are being met?